Q. How do I find sources on my case for COM 405? 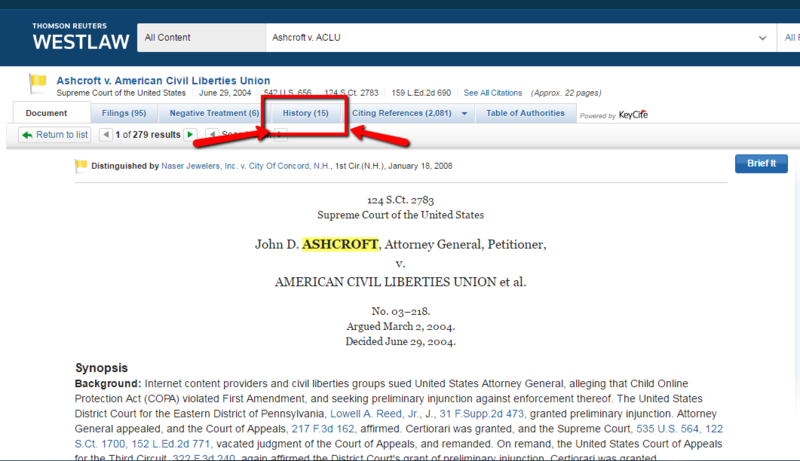 Use Westlaw Next to find the case. Then review the case and note the court discusses other cases which it relied upon to reach its decision. This will either be noted by the case name in italics (or underlined) in the case, or by a footnote in the case. Once you are in the case in Westlaw, you can use the History tab at the top of the case to show what happened in lower courts for the same case (i.e. what happened at trial before the case was appealed) and from the Citing References tab, you can view all the cases that have cited to the case. Look at secondary sources explaining the case if you need a little more help understanding the case. The best ones are law journal articles which can also be found in Westlaw.